We have returned home from Stitches West and wanted to congratulate the winners of the Mountain Colors categories in the Knit Outside the Sox contest. There were LOTS of beautiful entries and the judging was difficult. 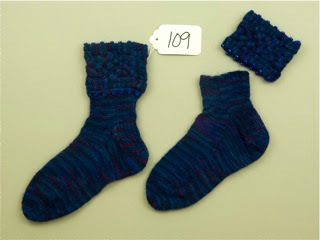 Everyone had beautiful socks and we were thrilled to see the quality of the work. I got to try on some of the socks to see how they looked on a foot. That helped us look at the patterning, shaping, style, etc. It was great fun. Congratulations to all who participated!! We wish everyone could be a prize winner! 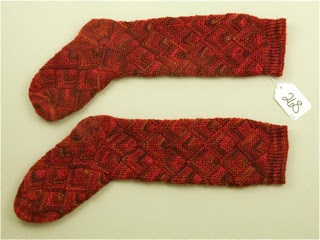 Keep on knitting those great designs!